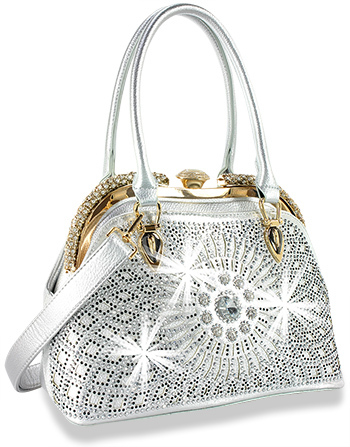 rhinestone decorated front panel on a retro-inspired A-Frame clap handbag. The oversized clasp are topped with pearl-cut, faceted stones. The top A-Frame is also adorned with rhinestones.